Is the chatter in your head critical? Do you find yourself doubting your abilities? Stop what you are doing for a moment and just listen to your thoughts. Chances are that you have been saying more negative than positive things to yourself. Studies have in fact confirmed that we do 300-400 evaluations per day and the majority of it is negative. It is time to stop the constant flow of negative self-talk and begin to appreciate you. You will get plenty of knocks and bruises to your ego from co-workers, bosses and even total strangers who are having a bad day and want to share the poison. You don’t need to buy into it or pile on top of it. In order to be healthy, you want to learn to love yourself. When you make a decision to love yourself, you are really saying that you want to come alive. 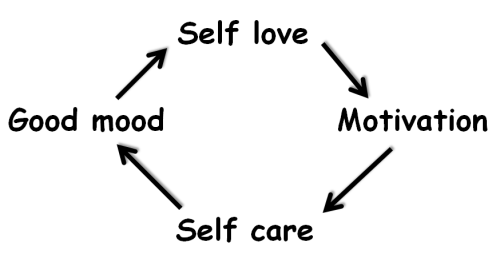 Self-love is important for a healthy mind and body. It might not seem that important at first glance, it may even seem selfish to some, but it has a huge impact on so many aspects of our lives. It influences our relationships, our choice of friends and romantic partners, how you are perceived at work, and the choices you make in your daily life. It impacts your inner health as well. When you fill your mind with negative and/or hateful energy, you can actually make yourself physically ill. The body hears everything the mind tells it. Stressing about lack of progress in the gym and beating yourself up mentally for the way your body looks for example, can increase the hormone cortisol. An increase in cortisol can put your body in a catabolic state. A catabolic state is the destruction of cell life. This can cause muscle loss, tissue destruction, bone loss, and a weakened immune system. High cortisol levels can also make it harder to lose body fat, specifically in the abdominal region. Learning to love you starts with making a conscious decision, an intention to become happy and lead a fulfilled life. The next step is to take inventory of your thoughts and begin to adjust them. Notice when you are saying those mean comments that you would never say aloud to others and change the pattern. Ask yourself if you would say such things to your best friend, if not, then you don’t want to say them to yourself. Period. End of mean comments. You might, however, want to take a moment to examine those negative thoughts and figure out where they originated in you. Did an over tired parent say something similar when you were a child? Perhaps they were said by a coach, mentor, sibling? As a child you may have been unable to defend yourself and helplessly learned to accept those comments as gospel. But now, the older and more mature you knows them to be wrong. So stop believing lies! 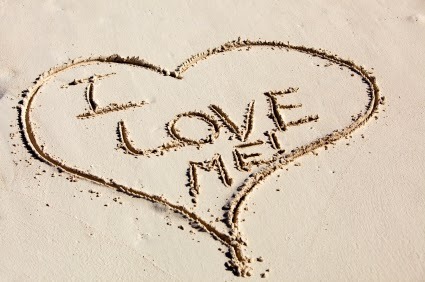 People who love themselves tend to be more mindful, they tend to know what they think, feel and want. They are mindful of who they are and act on this knowledge, rather than on what others want for them. They listen with their heart instead of the constant inner critic. It helps to start each day with a few minutes of quiet meditation, followed by writing in a journal. I often have my clients keep a notepad in their lap during hypnosis. As they emerge from trance and pick up the pen to write, more information will flow onto the page. Sometimes tears will flow as well. It is powerful to find out that you really do deserve love. You are worthy of a good and happy life. Remember that loving yourself isn’t a one-time event. It is an endless, ongoing process. Start today practicing self-love and enjoy the benefits of better health all around! How loving are you with yourself? Not just today, Valentine’s Day, but every day? 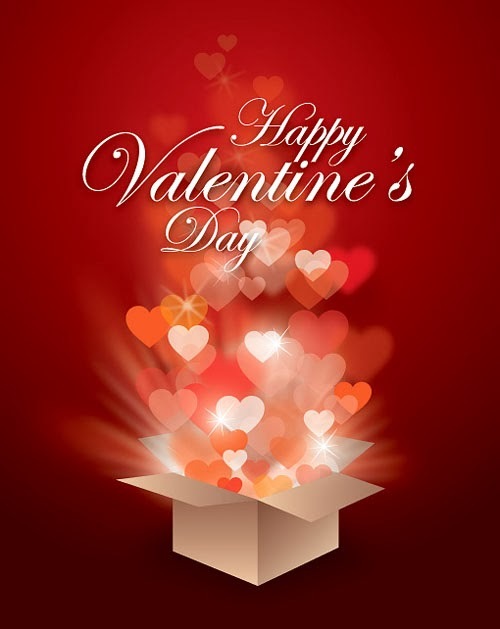 For many, Valentine’s is a wonderful, romantic celebration of their commitment to one another and to love. For others, it is a sad reminder of lost love. For some it is a poke in the heart as they feel they have never had real love. I teach a class called The Real Love Potion Number Nine, a love attraction class that is almost ready for print as a book/guide to finding your true love. (It is also how I managed to bring my amazing husband into my life.) One of the very first things we review is self-love, followed by unconditional love. It is a very difficult thing for many of my clients to experience either of those. Modesty has taught us to negate a compliment. How I would cringe when my sons were young and I’d tell the parent of one of their friends how much I enjoyed their little one, only to have the parent tell me I didn’t know that child. Really? A chance for the kid to learn self-love now dashed. We really need to learn to just say thank you. Often, my clients equate their value with their perception of just how “bad” the habits they have are. Unconditional self-love means loving all of you, despite your flaws. So, before we can even begin to create a change in behavior we need to instill a new understanding of how unconditionally loved we deserve to be. In order to do that, we have to begin practicing some loving moments with ourselves. Pay attention to how you treat yourself compared to how you treat your friends. I know that so much internal talk is harsher than we would ever talk to friends or loved ones. Yet, we think we will respond well to it. You have the power to hurt yourself or make yourself feel better. Which do you prefer? It’s not loving to postpone self-acceptance until you are as perfect as you imagine you should be. Unless you choose a different direction, stress will beat you up! Allowing stress to go unchecked is VERY unloving to you! Doing something/anything to relieve stress, says, “I love me!” When you feel stressed, stop, take some deep breaths, even if only for a minute. It can calm you down Focus on things that make you happy instead of on problems. Enjoy just looking at the sunshine or watching the rain fall. Visualize a place that makes you happy. Find something that reduces your stress and do it regularly. I have a free audio for stress on my website. SerenityGive yourself the gift of a more relaxed you. It’s YOUR choice—let stress control you or YOU take control of the stress. Less stress leaves more room to be happy, and feel self-love. Give yourself permission to love yourself. Put it in writing, affirm you are worthy of love and even ask yourself each day why you are so lovable. It is through constant practice that love becomes natural, like any learned behavior. Give yourself permission this Valentine’s Day to be happy, now and 4-ever! 1. I lovingly accept myself as I am right now. I appreciate all that makes me who I am. 2. I regularly give thanks for all of my blessings. 3. I appreciate and accept compliments. I generously give compliments. 4. I trust in my ability to take care of myself, I take responsibility for my life. 5. I now eliminate self-criticism and stop criticizing others. 6. I forgive myself and others when a mistake occurs. 7. I shall be kind to others, without sacrificing my own needs.